After a small presentation of the quality features of the Styrian pumpkin seed oil all participants of the tasting got the chance to test three Styrian and two foreign oils without knowing their origins (blind taste testing). 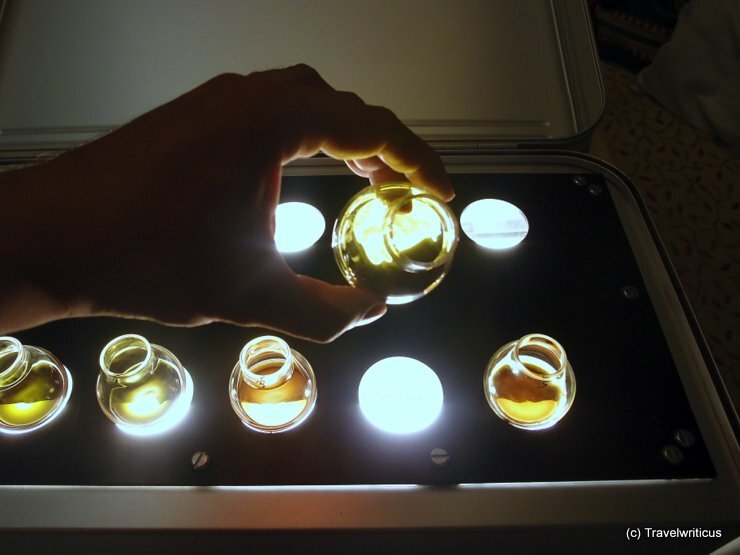 On the photo above I am checking the viscosity of the five oils. 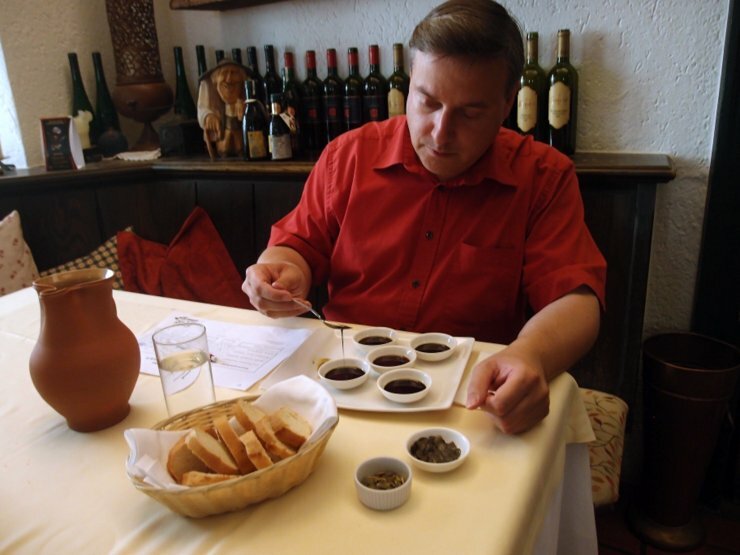 Besides checking the viscosity we also learned to check the colours of the different oils with a special equipment depicted above and to taste the different intensity of the nutty aroma pumpkin seed oil is famous for. I was especially impressed how big the difference between Styrian pumpkin seed oil and foreign oils really is. 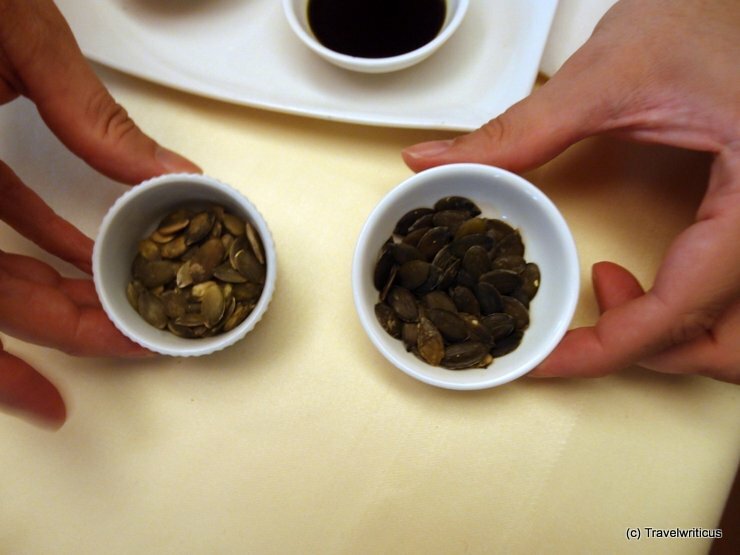 Even the seeds themselves tasted very different (left = foreign, right = local). After the tasting we spent some time for discussing our experiences and having a talk about general questions regarding the production of pumpkin seed oils. 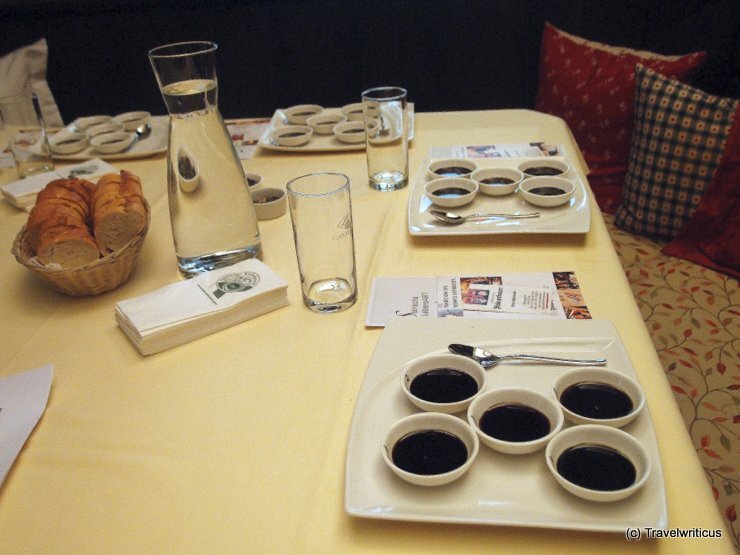 The tasting took place at Gasthaus Stainzerbauer, a traditional restaurant in the centre of Graz. 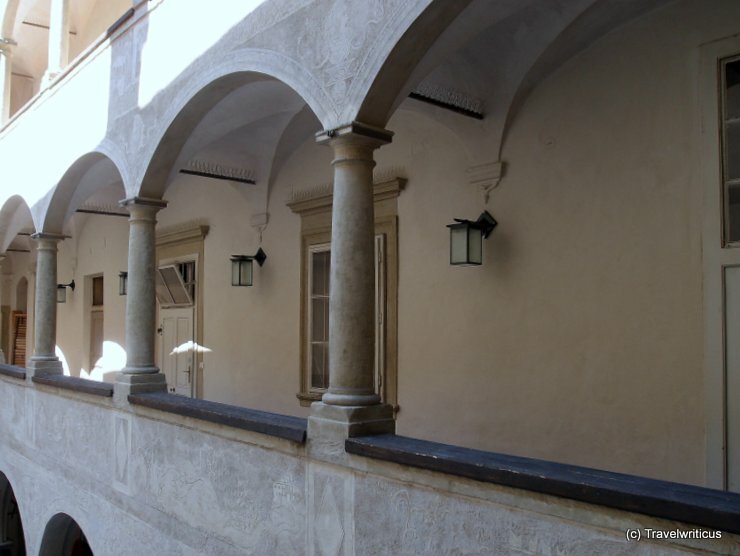 By the way if you visit this restaurant don’t forget to check the murals in the yard of the building which show old views of Graz and some depictions of historic events.